Pursehouse Rural distributes all forms of agricultural chemicals to combat weeds, insects, and disease. 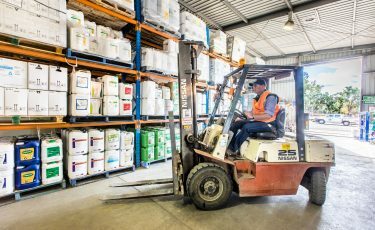 We have very strong trading and technical relationships with all the major chemical supply companies operating in Australia. Our distribution of agricultural chemicals is strongly supported by a well-trained, progressive agronomy team which ensures our customers receive the best recommendations and advice possible resulting in the most effective form of chemical use for each crop situation. We have spray application equipment based at many of our NSW branches enabling Pursehouse Rural to apply the crop protection products that we supply. This enables us to directly oversee the application rates and conditions to ensure maximum benefit and cost effectiveness for our customers.